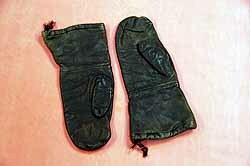 Pair of dark grey leather mitts with cream cloth lining.Nylon drawstring at top.
" LILLYWHITES LTD. PICADILLY CIRCUS,SW1"
When W.A Poucher died in 1988, one of his great admirers, a guy called Fred Nicholson, wrote to W.A's grandson, Tony, asking if he had any memorabilia that he could part with. 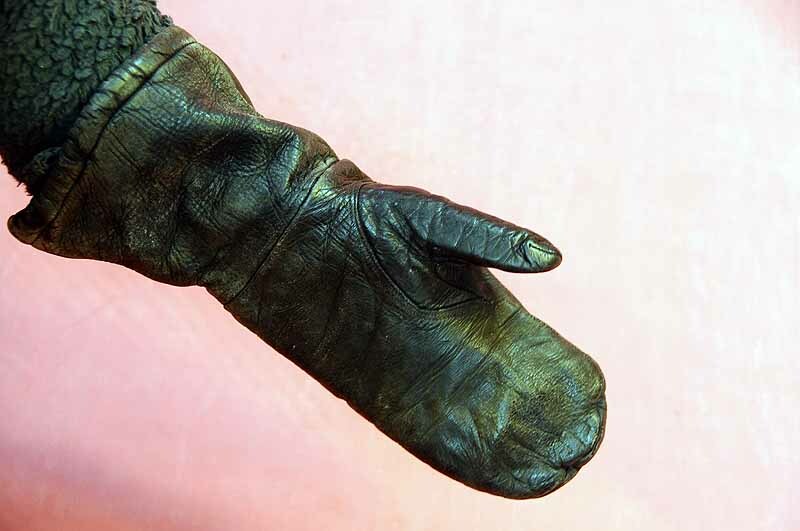 Tony Poucher, rather graciously, sent Fred W.A's rucksack in which he found this pair of gloves and three maps. Fred subsequently passed them on to us, making a very welcome addition to our - ever growing W.A Poucher collection.